Today I had the opportunity to curl up under a blanket and relax for an hour in a “cave” covered in Himalayan pink crystal salt. 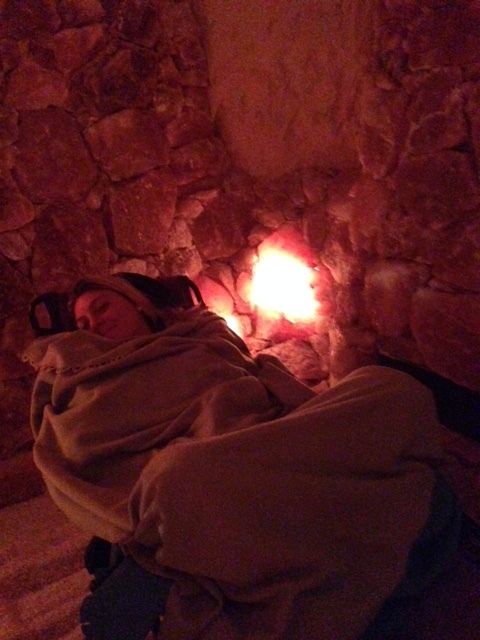 This experience of breathing in salt filled air is a form of Halotherapy. As someone who has chronic sinusitis, Halotherapy caught my curiosity. I went into the experience feeling open, but had no expectations. The cave was extremely cozy as it was dimly lit by salt lamps, played relaxing music (which of course included the soft calls of dolphins), and was slightly cool in temperature, which made snuggling up under the blanket extra enjoyable. Although the room was covered in salt, the air did not feel salty the way it does when you are near an ocean, rather it felt very light. I spent the hour focusing on breathing deeply, and half way through I realized that I was easily breathing though my nose! 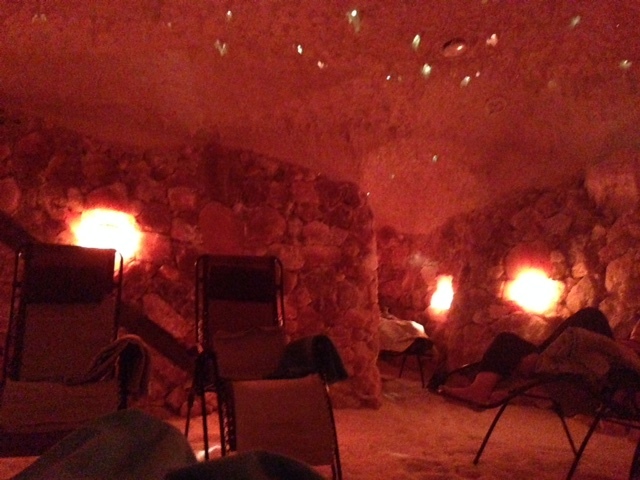 Throughout the entire salt cave experience my sinuses were extremely clear, which is not normal for me. I went with a friend of mine who is a big believer in the benefits of salt lamps; I kept saying to her, “I don’t know if this is just a coincidence, but my nose is SO clear!” and she would respond with, “it’s not a coincidence! It’s the salt!” Before I officially become a “believer”, I would like to have a few more Halotherapy sessions in the salt cave to see if I get the same results. Luckily these sessions are not too expensive, especially since Saltcave Solana often has offers on Groupon. 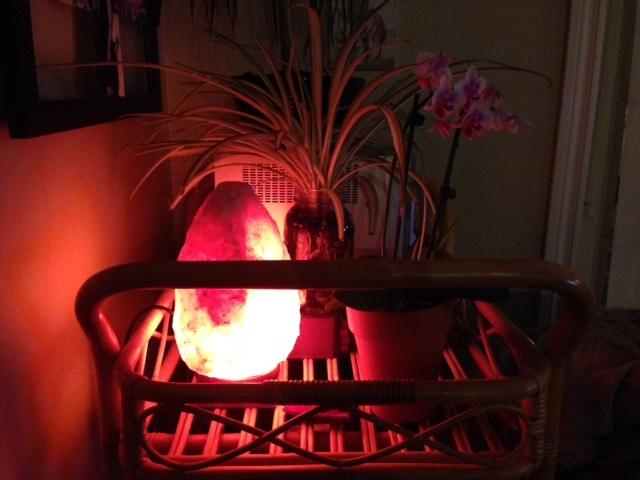 You can also pick up a salt lamp for your home like I did! Even if these lamps didn’t have any of the health benefits that they are said to have, I would still recommend them because they are so beautiful! I bought mine online at well.ca.